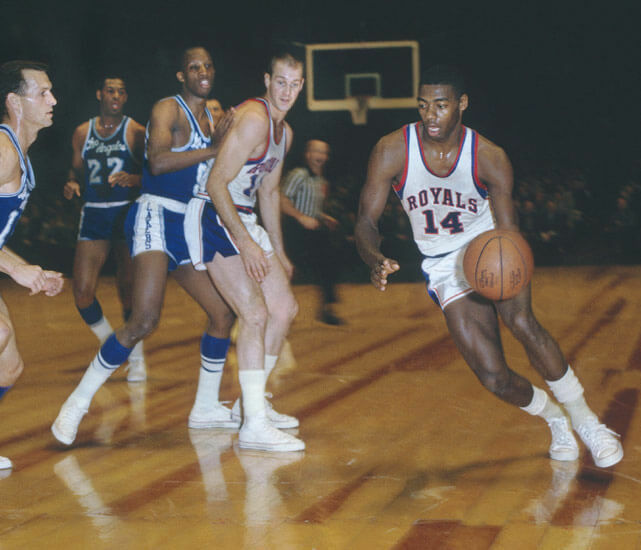 In 1960, the team was able to land local superstar Oscar Robertson. Robertson led a team that included Twyman, Wayne Embry, Bob Boozer, Bucky Bockhorn, Tom Hawkins and Adrian Smith over the next three seasons. The Royals reversed their fortunes with Robertson and rose to title contender. An ownership dispute in early 1963 scuttled the team’s playoff chances when new owner Louis Jacobs booked a circus for Cincinnati Gardens for the week of the playoff series versus the champion Boston Celtics. The Royals home games were at Xavier University’s home Schmidt Field House.